The first two days of Sukkot and Passover (only the first day in Israel) and the last two days of Passover (only the seventh in Israel) and the Shemini Atzeret/Simchat Torah festival that immediately follows Sukkot (observed as one day in Israel, two days elsewhere) are observed asYamim Tovim, Festival Days. Yamim Tovim are observed in the same manner as Shabbat except that one may cook (using a pre-existing flame) and carry in public areas. The remaining days in between are known as Chol Hamoed--weekday of the festival. During Chol Hamoed, it is customary to continue the holiday spirit and avoid unnecessary work. Mundane chores such as laundry are postponed. If possible, people do not work and avoid shopping except for essentials for the holiday. In synagogue, the Torah is read andHallel (festive Psalms of praise) and Mussaf (the additional service) are recited. On Sukkot, the requirements to dwell in the sukkah and the mitzvah of the four species continue throughout Chol Hamoed. 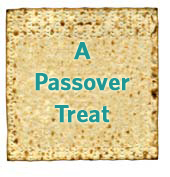 On Chol Hamoed of Passover, one maintains the prohibition against eating chametz (leaven) but is not required to eat matzah. This Treat was previously published on April 6, 2015.